Subscribe to KidsScoop! The monthly family event and savings newsletter. My girls love Unicorns. I was so happy to find this adorable light up Unicorn diarty set from SmitCo. 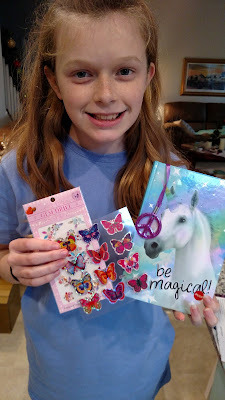 This kit includes adorable butterfly stickers too. very popular stretch jewelry sets for little girls - all packed in cute gift boxes. These kits make wonderful birthday presents, stocking stuffers and Christmas presents! There are so many adorable kits to choose from. We trust you will find some or all gifts here for the princesses on your list! My readers get to save! Horses, Unicorns & Jewelry, Oh My! Scented Nail Collection & 20% Discount! Stylish Journal Set for Girls! SmitCo LLC's Mermaid Scrapbooking Arts and Crafts Kit for Girls! 20% Off SmitCo LLC Products - Girly Gifts, Practical Gifts and More! Keeping a Journal has never been so fun! Light-Up Reach For The Stars Journal! Smitco Journal/diary- Holiday gift idea! 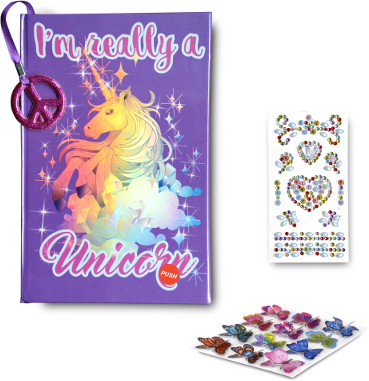 #AD 15% Off Your Entire Purchase of SmitCo Gifts for #Girls! Little Girls, Emojis and Nail Polish Oh My! Get Your Little Girl Excited For That Just Because Gift With SmitCo, LLC! Find some or all gifts for the princesses on your list! Young Girls' Gifts for 20% Off - Shop Early for the Holidays! Fun birthday and Christmas ideas for girls! Locking Diary for Girls with Feathered Pen and Stickers! Gorgeous Stainless Steel Angel Pendant!!! 20% Off Girly Gifts - Mermaid-Themed Goodies! Little Girls Get Super Excited with Cute Special Gifts From SmitCo. SmitCo LLC Pink Princess Set Review. Amazing New Under Cabinet Wine Glass Rack From Smit, Co.
Scented Emoji Nail Polish - The Perfect Gift for Any Girl! Smit & Co. Scented Nail Polish and Sticker Set for Kids! 2016 Holiday Gift Guide: Smitco - Affordable Gift for Girls!